Click on image to enlarge. These signs are designed as (curbside) sandwich board signs to advertise reading rooms, church services, Sunday schools and Wednesday testimony meetings. May be laminated for weatherproofing, if desired. 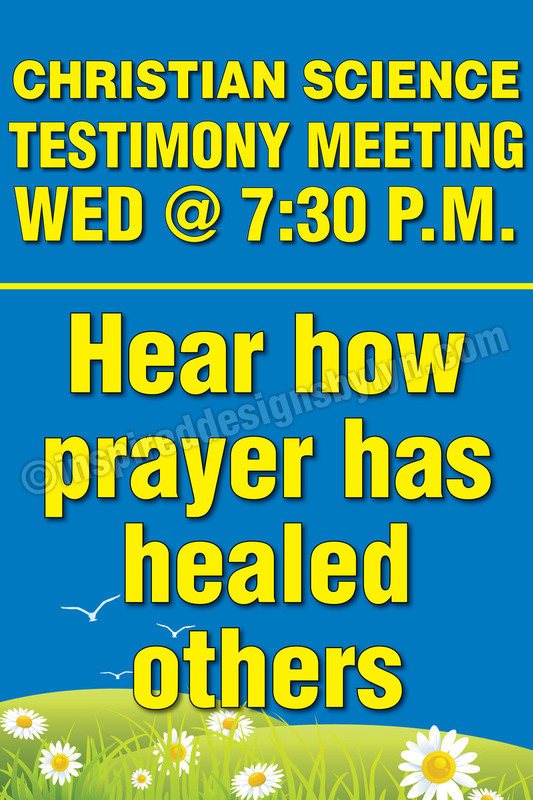 Please let us know the time of your Wednesday meeting if not at 7:30 p.m.